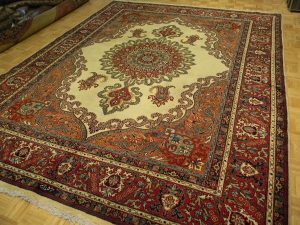 Persian carpets are traditionally known for their tremendous variety in design, color, size, and weave, and for the uniqueness of each and every rug produced. Rugs are generally named added the village, town, or district where they are woven or collected, or by the weaving tribe in the case of nomadic pieces. Each rugs; particular palette, pattern, and wave are uniquely linked with the indigenous culture, and weaving techniques are specific to an identifiable, geographic area or nomadic tribe. 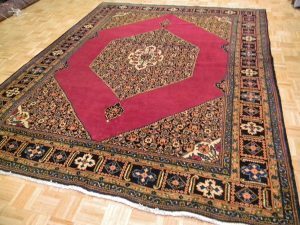 Generally small in size, Persian nomadic, village, and flat-woven rugs are broadly characterized by traditional angular designs and bold as well as somber colors. Typical is the south Persian Qashqai, often finely woven and featuring a diamond-shaped medallion on a detailed background of geometric or stylized flowers. Predominant colors include reddish browns and blues. Meanwhile, the more sophisticated carpets originating from the historic cities of Tabriz, Kashan, Kerman, Nain and Qunm feature finely woven floral patterns and complex curvilinear motifs. More elaborate pieces are often pictorial in design and depict hunting scenes, men in combat, landscapes, and historic folklore figures. 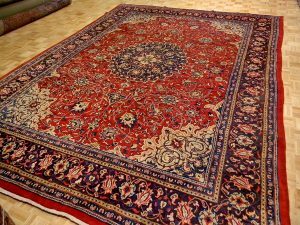 Persian carpets offer a full gamut of colorations from the pastel shades of champagne, rose, and green, typical of a Kerman for instance, to the striking reds and blues of a Heriz. This highly popular pattern is characterized by a bold and angular medallion and corner design. The popularity of the Persian carpet, both antique and new, continues unabated. 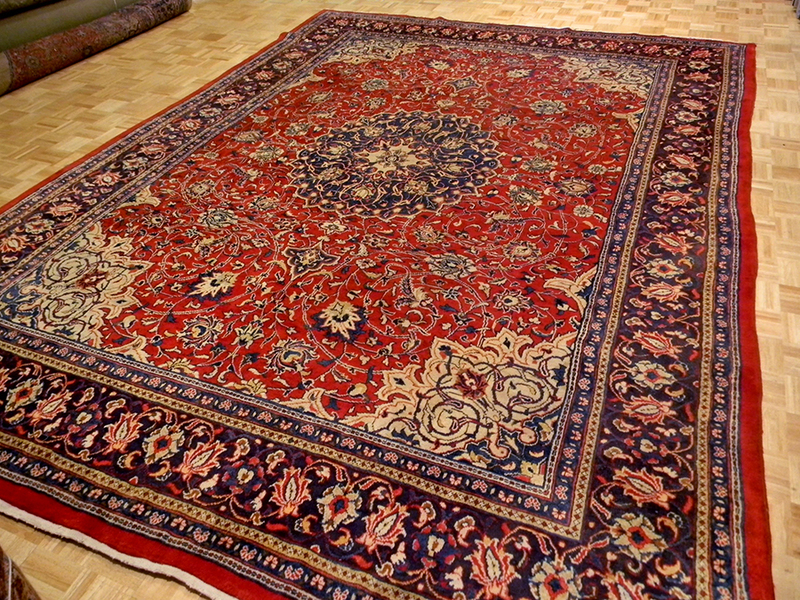 Indeed, Persian rugs shall forever be prized for their unique, individual quality. Each carpet is the product of a centuries-old cultural heritage particular to its originating village, district, or tribe. We have accumulated an unbelievable selection of used and trade-in rugs over the last 100 years and our prices cannot be matched. 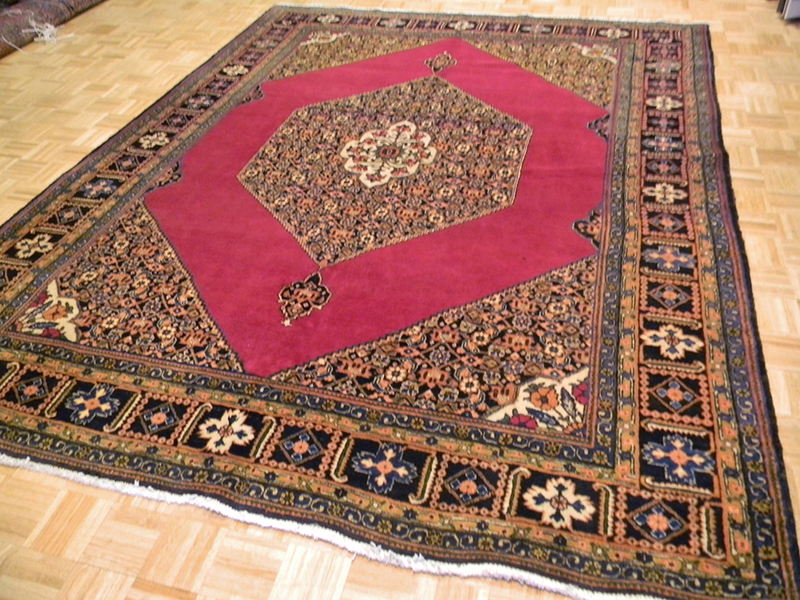 We extensively clean and refurbish every used rug before offering it for sale. 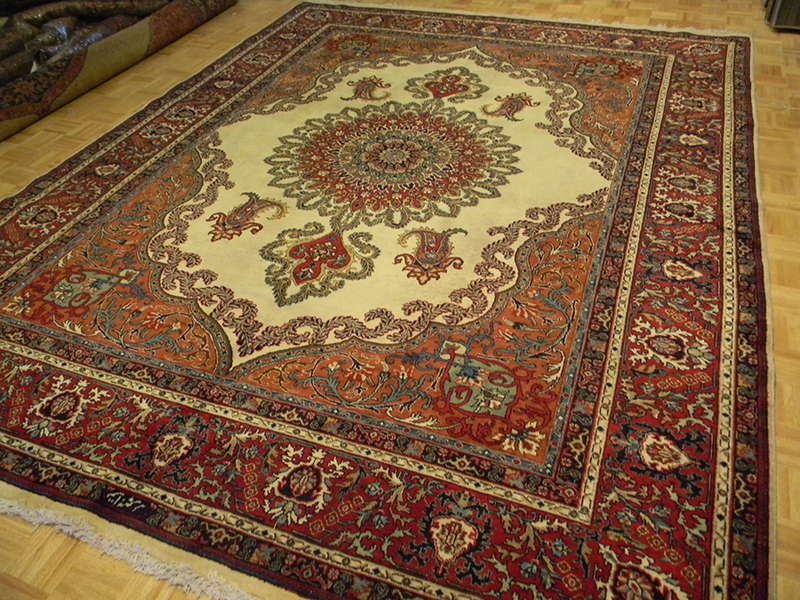 Visit our online store to find the perfect Persian rug for your home.